I dig the black and white video. In fact, I dig Bleached quite a bit. Somewhat late to the game, I picked up a first reissued of their 2011 single Dazed sometime last year and have since fallen in love with their 2016 LP as well. Right away you get a hint of the inspiration behind the song. After you see the excellent 1960s Dodge A100 van drive by, a billboard flashes on screen featuring an “Exclusive Interview” with the “Human Band”. The video also features aliens with weird brains and eyeballs. It’s pretty rad. Bleached singer Jennifer Clavin had the following to say about how the band’s Welcome the Worms release was covered (more the emphasis on gender-based labels the band has received as opposed to the deeply personal and emotional content of the music itself) and how it fed inspiration for Can You Deal? To have [Welcome the Worms] received with such a generic labeling as “girl band” and consistently referenced as “female fronted” is insulting and reductive. The title track to this EP, “Can You Deal?” is about this experience. Read the full transcript from Clavin on their Dead Oceans one sheet for the release. As FensePost has been on a bit of a hiatus, this is the first time I’ve written about Bleached and their Welcome the Worms LP from 2016. It’s a shame that the album received more commentary on the gender of Clavin and company rather than the intense emotional output of the album’s content itself. It was a record about being in an emotionally abusive relationship. It was a record about getting spun out on drugs and alcohol. It was a record about totally losing myself in order to find myself. It was also our most ambitious body of work yet, with guitar work and guitar sounds and production we had only dreamed of until then. In addition to the EP, a zine is also being released that includes a variety of “shared experiences on this subject through essay, visual art, poetry, lyrics and more” by the likes of Tegan Quin (Tegan & Sara), Kim Schifino (Matt and Kim), Liz Phair, Bethany Cosentino (Best Coast) and many more with all proceeds benefitting Planned Parenthood. 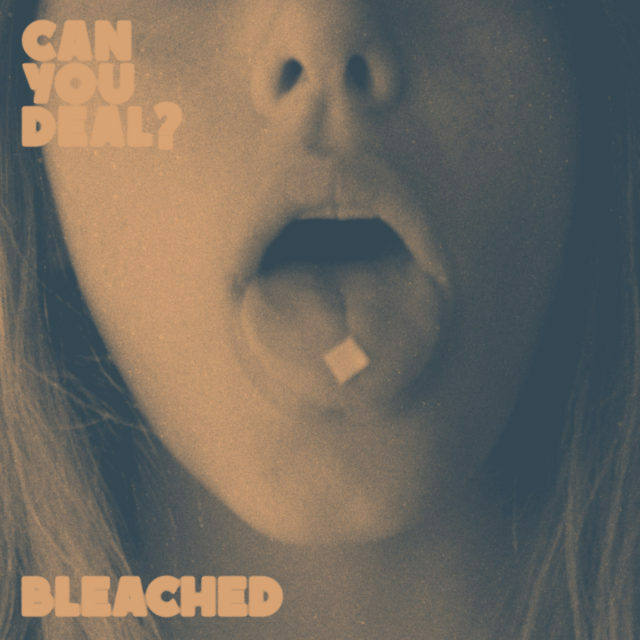 Grab the EP from Dead Oceans, then head over to the website for Can You Deal? Zine and support a great cause! Next Post Crack-Up with Fleet Foxes: “Third of May” is a Little Early.